Rave reviews describe Plas Dinam even better than we can…..
“Put simply, Plas Dinam is magical. If you’re wondering if it lives up to the images and descriptions on the website, then fear not. It surpasses all expectations. The house sits in a picturesque valley with stunning views. Every room is carefully and beautifully furnished. Everything you need is provided and the owners Eldrydd and Tyson go out of their way to make sure you enjoy your stay. 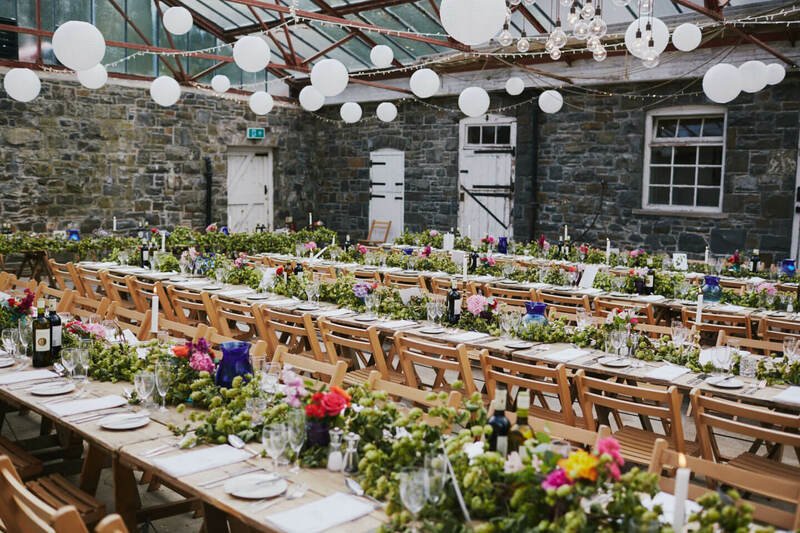 We booked Plas Dinam for our ‘Wedding weekender’. I was making all arrangements from Australia, and Eldrydd was wonderfully helpful and patient in attending to all my queries and requests via email. 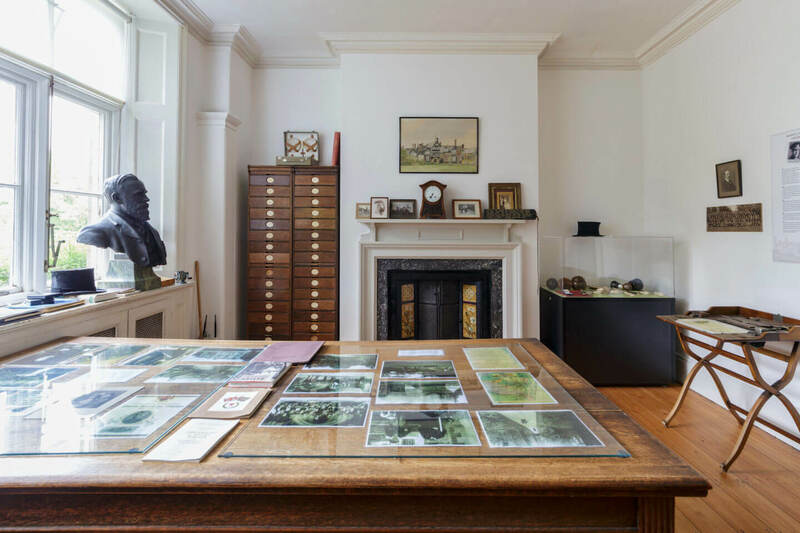 A small museum at Plas Dinam describes the origins of Plas Dinam and the interesting lives of family members who have lived there. In summary Plas Dinam was designed and built in 1873 for Captain Offley Crewe-Read. In 1884 Plas Dinam was bought by David Davies of Llandinam and has remained in the family ever since. In 2011 Lord and Lady Davies decided to “downsize”. Their daughter Eldrydd and her family who were living in Australia returned to look after Plas Dinam, starting the new venture in 2012. Plas Dinam is huge! But also amazingly warm and friendly. 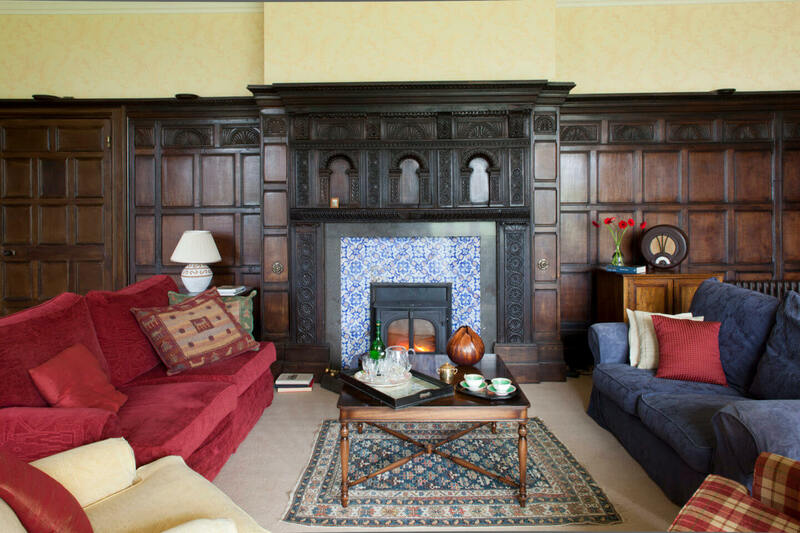 The big sitting room, elegant drawing room, amazing dining hall and library are the hub of the house. A well stocked kitchen, snug TV room and games rooms extend down the corridors. 15 lovely bedrooms (one of which is a family suite with 3 adjoining bedrooms) and 10 bathrooms are over 2 floors. 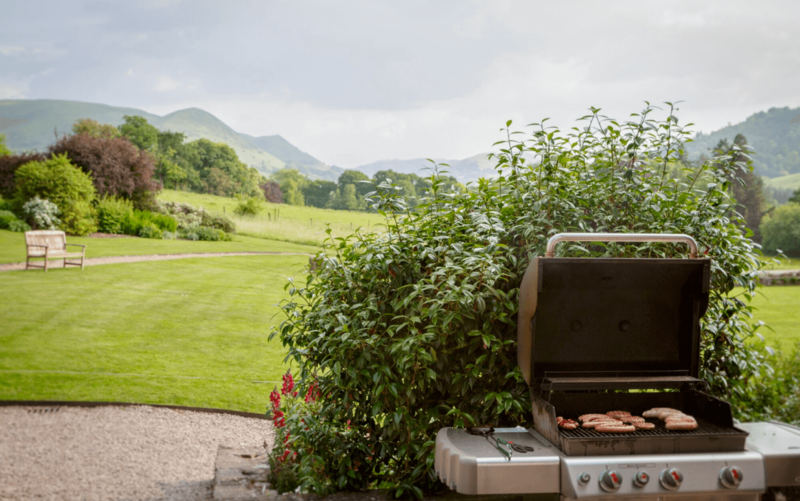 A BBQ, pizza oven, tennis court, Old Stables for weddings and parties and 12 acres of woodland walks, wildflower meadows and lawns add to the fun. Check out our floor plans to figure out who sleeps where!